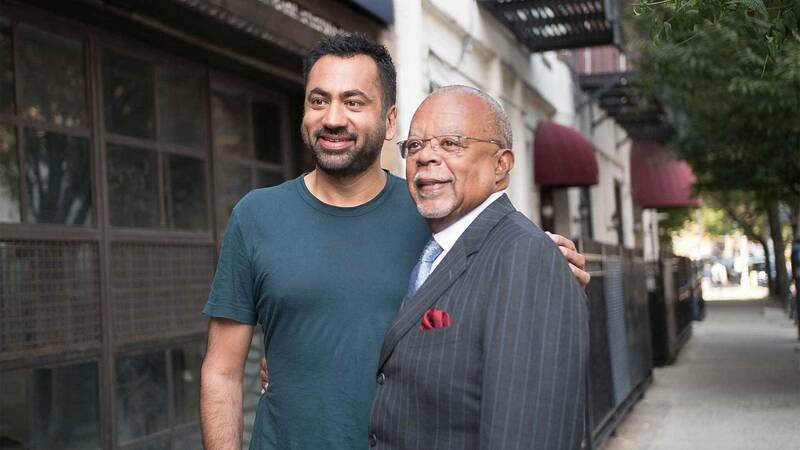 Henry Louis Gates Jr. has helped dozens of famous folks fill in the blank pages of their family histories on “Finding Your Roots.” But before the host breaks out the Book of Life, hundreds of hours of work are done behind the scenes. As the series continues its fifth season with a new group of celebrities, including reporters, sports legends and comedians, we spoke with “Finding Your Roots” genealogist Johni Cerny about what goes into filling out the branches of each family, the joy of helping people connect and some of this season’s most interesting guests. Rewire: Where do you begin when it comes to tracking someone’s history? Johni Cerny: Whether for “Finding Your Roots” or my company here that does research for just regular people in our world, we always start with giving them a questionnaire that we ask them to fill out as thoroughly as possible. We don’t expect them to know everything, but it at least gives us a foundation to work with, and we take that and run with it. Rewire: Is what appears in each episode of “Finding Your Roots” the extent of what you found? JC: Anything that appears in the script has to have a document to prove it with our fact-checking process. Then we work with a marvelous team at McGee Media, and we send them what we find and they go through it and say, “This would really make a compelling story. Let’s go dig deeper on this.” And that’s exactly what we do. We’re genealogists, they’re documentarians. They know what they want to say on film, and when they find something they send it to us and say, “Is this really valid? Can we say this?” And we start the process all over again and try to verify what they’ve found. Rewire: So this is really a team effort between research and production to craft the stories. JC: It is. Some of the people who have appeared on “Finding Your Roots,” we’ve put in 600 to 800 hours from start to finish. And this is particularly true when we have really compelling stories to tell and there are weak spots in the family tree and we have to dig and dig and dig until we can prove them. Otherwise we can’t tell that story. We have to let it go. And that’s pretty heartbreaking when you’ve invested so much. Rewire: Are there any stories this season that are particularly compelling for you? JC: Michael Strahan, his research really was. There’s all this oral history and legends that come into a lot of families. And there was a very compelling story about his ancestors during slavery, and in the end we couldn’t tell it because we could not find one shred of evidence that proved it. And that was heartbreaking because I thought, “I would want to own this story.” And he was a great guest. George R. R. Martin, he had no idea that he had the Jewish ancestry that he had. Seth Meyers coming up, his was also very interesting. But I think the person who was really most effusive and involved in that particular episode was Sarah Silverman. Her comment just took the words right out of my mouth. She was looking at a photograph of family members she had never seen before. And she just said, “I wish I could crawl into this picture and know what’s going on in there.” And that’s a reaction for a lot of people. I thought her comment was just perfect in that regard, and she was very excited about it. Rewire: Working with the show over the past five seasons, you’ve obviously gotten to see many people react to the stories you’ve found. What’s that like for you? JC: You know, there’s hardly an episode that goes by that I don’t get a lump in my throat or a tear in my eye. First of all, from the reactions of the guests, and second of all from knowing that what we do is so impactful. It’s just a joy to be a part of that. I just turned 75 in August, and I can’t see leaving this ever. I’m living the dream. If you’re interested in finding your own roots (but don’t have a team like Cerny’s to help out), here are a few good places to start. Though family lore isn’t always 100 percent accurate, it’s a good place to start. Ask family members what they know about their parents and grandparents, and don’t forget to ask if there are documents or photographs that could help you in your search. Military records, birth and death certificates, and even family photos with identifying details can hold clues to the next branch on your family tree. If your family isn’t much for holding onto things, don’t worry. There’s a whole government agency keeping track of many of those items for you. The National Archives store military service, naturalization, immigration and census records, and their website is chock full of information about how to use their records for genealogical research. While some things are available online, not all records are, so a trip to Washington, D.C., or the NationalMilitary Personnel Records Center in St. Louis could be in order if you want to dig deep. If you’re trying to locate information about your family in another country, contact their national archives for help. While they may not be as helpful if your family has moved around a lot, your local library can help with newspaper archives, land records, and passenger lists from the area, in addition to other records. It can also be helpful to have a librarian on hand when you get stuck or are unsure what resources might be available to you. Even those who have moved far from their family home could find help on the local level. Due to the rising popularity of genealogy, many libraries offer guidance or courses on the subject. A how-to from a knowledgeable guide could be the perfect start to your search. Thanks to the internet, we don’t always have to travel to where records are kept to search them. FamilySearch, Fold3 and Ancestry are all good places to start making connections between the branches of your family tree. Family Search is run by the Church of Jesus Christ of Latter-day Saints, but their records go far beyond theirchurch community. In fact, the database (and the physical library in Salt Lake City) holds the largest collection of historical and genealogical records in the world and is free to access. Fold3 and Ancestry are both paid services, but can be helpful if you know what you’re looking for. Fold3 specializes in military records, while Ancestry aggregates data from both records and family sleuths throughout the world. One word of warning with online databases: Be sure to verify any connections you find. Because users can often submit their own information and add to trees, the entries aren’t always perfect. Try to confirm any information entered by others by finding documents or records that support it. By now you’ve likely heard a friend or relative rave about all they learned from an at-home DNA test kit. Companies such as AncestryDNA, MyHeritage DNA and 23andMe offer kits that can tell you where you came from and even which diseases you’re predisposed to. All you have to do is mail in your spit and wait for the results (though it’s smart to be aware of the risks involved). While these kits are often a little pricy (23andMe’s ancestry kit goes for $99), they can also help fill in blanks when records can’t be found. Just be prepared to have some surprises pop up as your DNA takes you back in time. As the databases have grown, people have unwittingly been learning family secrets.